Update, February 5: As expected, Apple is urging the Supreme Court to ignore Samsung’s request. Original post, January 19: This is perhaps not so surprising, coming from a company that is pretty famous for patent infringement litigation. The irony is that Samsung is suing someone for patent infringement as often as it is being sued for infringing patents itself. But the company believes patent law is “antiquated” and that continued adherence to the system could “stall innovation and the progress of technology”. Coming from the largest design patent holder in the U.S., it may seem odd that Samsung would want to do away with the very system that protects its patent assets. But the frequency with which Samsung, and many other tech companies like it, use artistic license to “borrow” technology covered by patent licensing is clearly at issue. Samsung obviously feels it has more to gain than lose if the current state of patent law is modified. If even one of the 250,000 patents a smartphone requires is found to infringe on a design patent, the entirety of the product’s profit can be awarded to the patent holder. The logic is as follows: patent law was originally invented to protect ideas or inventions central to a product, but the products were so simple that a single patent might suffice. But times have changed. 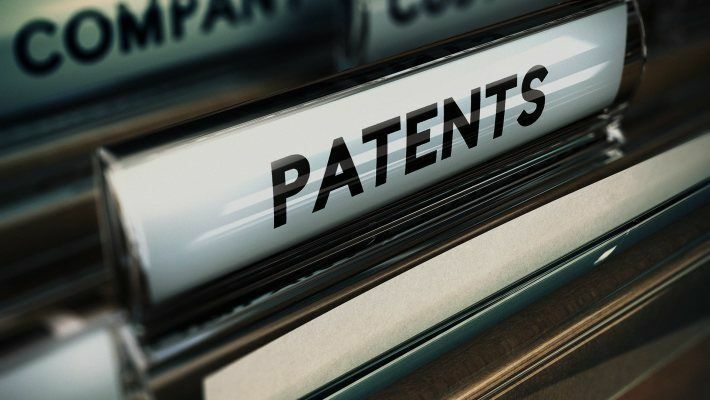 A smartphone can require up to a quarter million patents, and if even one of those is found to infringe on a patent, the entirety of the product’s profit can be awarded to the patent holder. This is called the “total-profit” rule, and it is why patent trolling is such a popular business these days. Naturally, the downside of patent trolling is that companies are ever more cautious with the products they produce. Stepping too close to the line could easily result in a negative ruling in a court of law and if the entire profits of a product as large as the Galaxy S7 were to be awarded to – let’s say, Apple – this could be devastating for a company even as large as Samsung. The result is that competition is stifled, progress is slowed, innovation is crippled and patent trolling becomes a more viable business division than R&D. This is all actually true. It’s just that coming from Samsung, all you can think about is: they want access to Apple patents without the bothersome lawsuits or damages claims. But this is serious business, not just an internet rant. Samsung filed a petition with the U. S. Supreme Court in December 2015 requesting a review of the patent law system. The last time patent law was addressed by the Supreme Court was in the late 1800s. And it’s not only Samsung involved; Google, Facebook, Dell, eBay and HP have all filed amicus briefs in support of the review along with various public policy watch groups. Not surprisingly, Apple is not among the supporters. Now, Samsung isn’t asking for the patent system to be scrapped entirely, just that it be reviewed and updated for modern times. The “total-profit” rule seems to be the bullseye. Cynics might claim that removing this lynch-pin would simply allow companies like Samsung to more freely infringe on patents without suffering huge financial consequences, perhaps the only thing stopping them from doing so. Design patents must not be given too broad a scope and damages must not be windfalls vastly out of proportion to the contribution of the patented design. If Samsung is successful in petitioning the Supreme Court to revisit patent law, this could mean huge things for technology in the years to come. But that will all depend on what the Supreme Court’s findings are. The case could take years and the ruling may not even work in Samsung’s favor. But with this many high-powered tech companies in support, though, it certainly won’t go unnoticed. Do you think the “total-profit” rule is outdated? How do you think patents should be handled?